The name of the entry-level Kaiser automobile seemed to change every year. In 1953 it was the Deluxe. In 1954 it was the Special (it was different in ’52 and ’55 too). And some of those 1954 Specials were just rebadged 1953 Deluxes that were left over (they also had some styling tweaks applied as well). The Special could be had as a four-door sedan or a two-door Club Sedan. The Special is powered by a 3.7-liter straight-six making 118 horsepower. This car is one of the 1953 carry-over cars. It still sports the “jet airscoop” front grille that marked all 1954 Kaisers (which was added by the factory before sale) but you can tell it is a “first series” car because the rear glass is a single piece that does not wrap around to the sides. About 3,500 1953 Kaisers were carried over and sold as 1954 Specials. The number of actual 1954 cars is much, much lower. But the Club Sedan is definitely the rarer of the two body styles. This car has had a cosmetic restoration and an engine rebuild, but the interior is original. These Kaisers are beautiful and rare cars that will stand out at any cruise-in you attend. Click here for more info and here for the rest of Barrett-Jackson’s Palm Beach lineup. 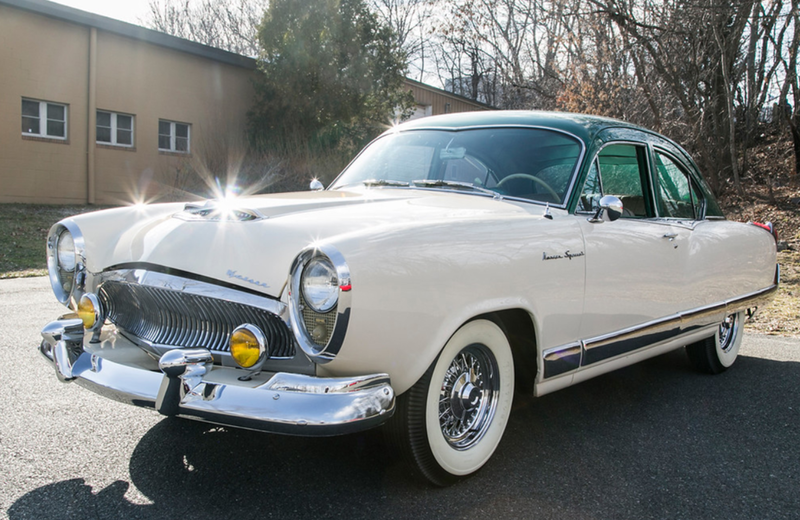 This entry was posted in Uncategorized and tagged 1954, auctions, barrett-jackson, cars, classic cars, club sedan, kaiser, special by classiccarweekly. Bookmark the permalink.